There aren’t many churches where the mix of music is as diverse and inclusive as you’ll find at Salford Cathedral. 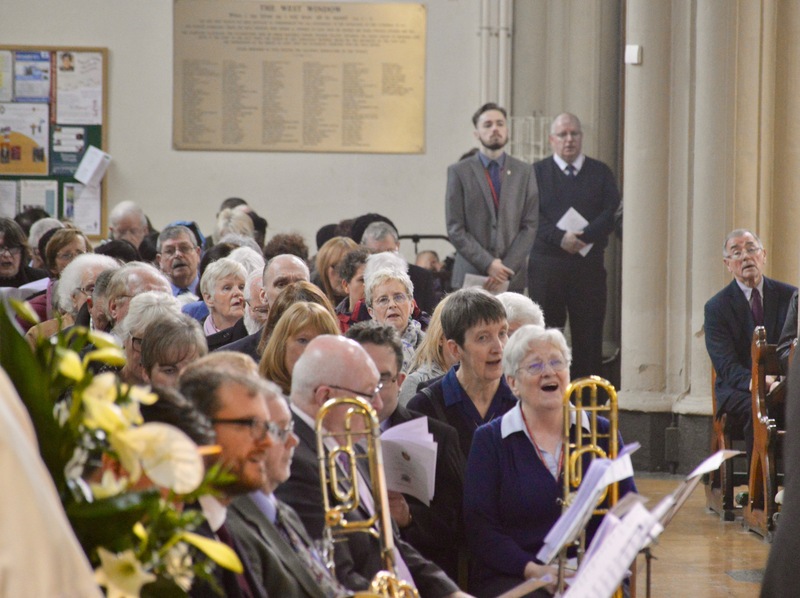 Our music making reflects the range and quality of the best of Catholic liturgical music, ranging from the gems of the choral repertoire to contemporary music written with the participation of the assembly in mind. 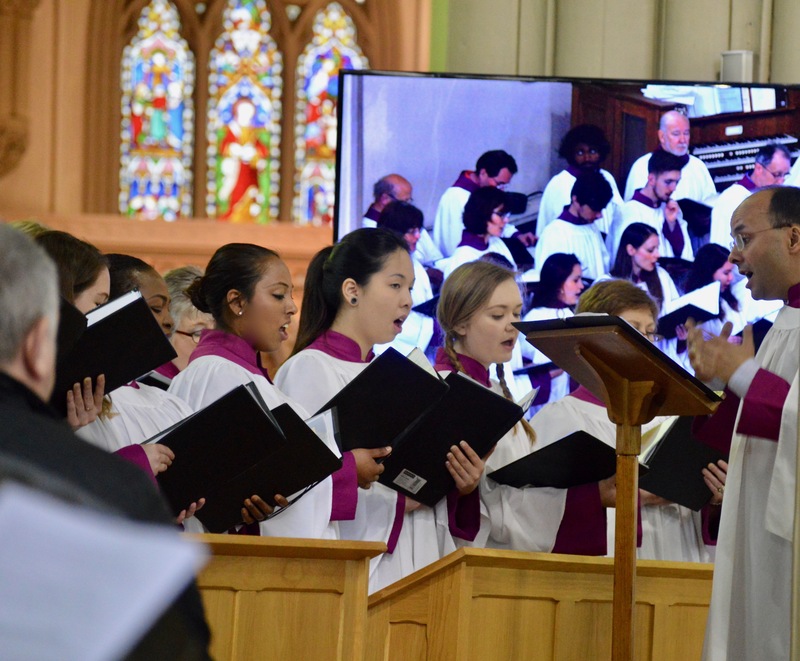 Throughout the year, you’ll hear us sing plainchant and polyphony, including choral motets from Lassus to Tavener and World Music from many continents and cultures and even occasionally the sounds of Gospel and Jazz. Above all at St. John’s, you’ll hear the people sing! Our sung liturgical celebrations always feature music that gives the gathered assembly the ‘full, conscious and active’ role foreseen by the bishops at the Second Vatican Council. We never forget that the choir’s primary role is to lead the assembly in song and in prayer. The choir consists of around twenty-four men and women singers. We sing each week at the 11:00am Sunday Mass at the Cathedral, as well as on other important days in the liturgical calendar, such as Christmas and the Paschal Triduum. We occasionally sing for other events too, such as ordinations in the Cathedral and for concerts such as the annual Celebration of Christmas in aid of Age Concern. 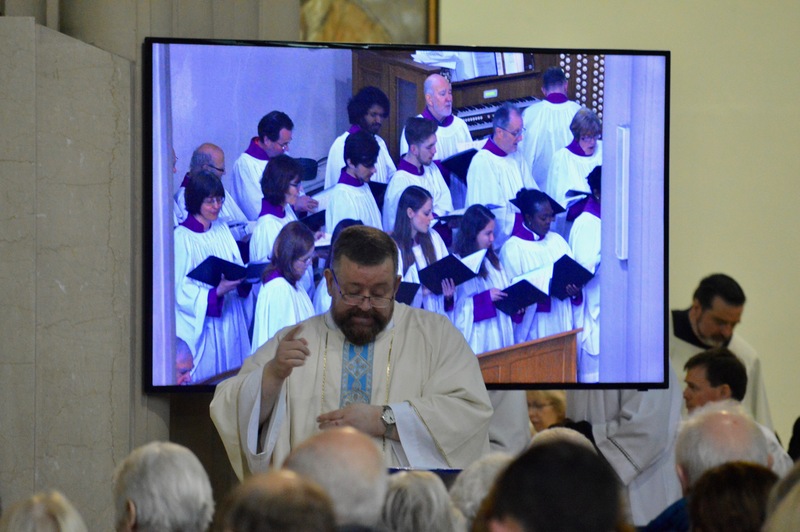 In recent years, the choir has appeared many times in television broadcasts, including Songs of Praise, Morning Worship and My Favourite Hymns. A highlight of 2008 was our appearance at the Bridgewater Hall, for the Centenary Mass of the Catenian Association. 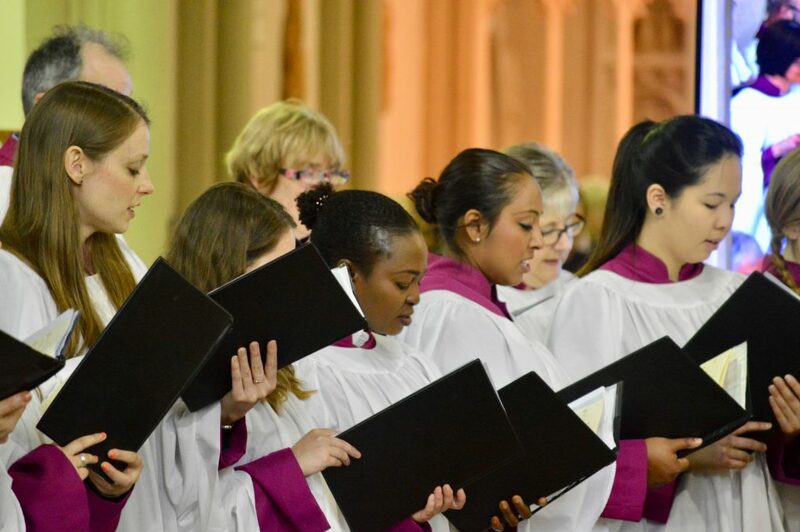 The choir has vacancies for keen and committed singers, both men and women. You don’t need a trained voice but you need to be able to read music and to have some experience of choral singing. We rehearse on Wednesdays from 7:30 to 9:45pm in Cathedral House from September to July and members are normally expected to attend at least two-thirds of rehearsals. On Sundays, we meet for a run-through at 9.45am, before singing at the 11:00am Mass. If you are interested in joining the choir, please get in touch with Martin Barry or come and talk to us after Mass one Sunday, over coffee in the Cathedral cloister. 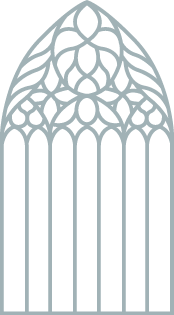 The Cathedral choir runs a choral scholarships scheme, open to those aged sixteen and over in full-time education. The amount of the scholarship is up to £1200 per year; choral scholars are expected to be available during all of Holy Week, from Palm Sunday to Easter Sunday. We normally aim to fill vacancies for choral scholarships in the first instance from the ranks of our student volunteer members, so if you’d like to be in pole position when we’re auditioning in future, come and join us now as a volunteer. For volunteers, there’s an informal audition and you need to be able to read music and have some experience of choral singing. If you’re interested in joining us, please contact the Choirmaster and Director of Music, Martin Barry. Martin Barry has been the Choirmaster and Director of Music at St. John’s Cathedral, Salford since 1995. He studied at Cambridge University and has many years of experience as a singer in church and chamber choirs. 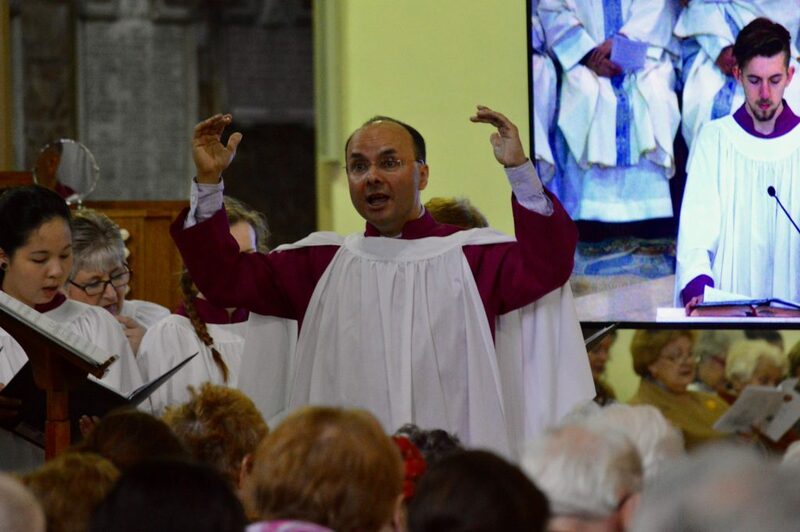 He sings with several of the leading amateur choirs in the north-west of England, including Manchester Chamber Choir and the William Byrd Singers and as well as the cathedral choir, he has directed a choir of prisoners at HMP Forest Bank, one of the UK’s largest prisons. Martin leads workshops and choir festivals for parish musicians and his compositions are published by several publishers in the UK and the USA, including GIA Publications. Outside of music, Martin’s specialism is phonetics – the science of speech. He taught at universities in England for twenty-one years and was head of the department of Linguistics and English Language at the University of Manchester from 2002-2008. He is a former editor of the Journal of the International Phonetic Association and was pronunciation editor for the 2008 Chambers Dictionary. He now works as a forensic speech scientist, specialising in criminal cases involving disputed voice recordings. One way or another, he’s used to having all of human life in his ears! Join us for a Walk of Witness at Starting at St.Clements Ordsall this morning. 10am, Everyone is welcome.